Audits | Audit Programs | Audit Plans | Financial Audits | Claim Review | ClaimDOC, LLC. ClaimDOC, LLC. 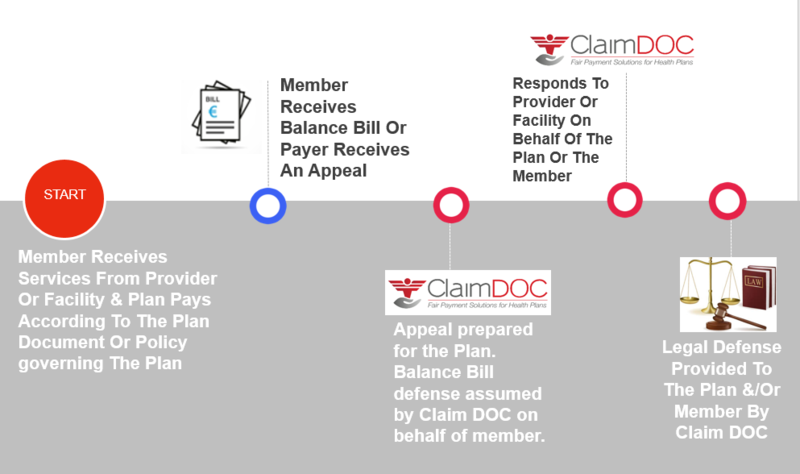 (ClaimDOC) provides claim review and auditing services (Audit Program) to self-funded health plans (Plans) for Out of Network Claims or for Plans who have decided not to use a network for access to providers or facilities. ClaimDOC’s Audit Program is set up to recognize the Medical Provider’s actual cost to deliver the service and to allow a fair margin above that cost. Claim DOC utilizes recognized industry sources, with focus on geographic based Usual & Customary Reimbursement (UCR) along with Medicare & the Facilities’ annual cost reports submitted to the Centers for Medicare & Medicaid Services (CMS). If ClaimDOC’s fee eliminates a financial benefit for the plan on ANY claim, then ALL usual & customary ClaimDOC services on that claim will be FREE to the plan. recognizes medical provider’s actual cost to deliver the service and ensures a fair margin above provider’s published cost. Efficient Turnaround On Payments To Providers. It is ClaimDOC’s practice to always maintain the Plan’s right to audit for Medicare conformance and billing errors, even in the presence of a contract with a facility. Recently, this saved one of our clients’ Plans over $50,000 simply by correcting a billing error for unbundling and before any further repricing had occurred!